Discussion in 'Routers' started by MJB87, Jul 29, 2018. I recently tried out three routers for a large dual-WAN load-balancing home installation: Asus AC68U, Cisco RV340W and Peplink Balance 20. For others looking for dual-WAN routers, I thought I'd offer my lessons learned. 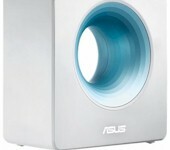 The Asus AC68U was what I had operated for several years. However, I never actually was able to operate it in a dual-WAN mode, so if that is an essential requirement, you might want to look elsewhere. Even if I could have gotten it to work, the load balancing options are minimal. The Cisco RV340W ran fine and easily managed the network and dual-WAN setup. However, it is not intended for home users and the user interface is extremely weak. For example, your cannot even sort the connected devices list, nor export or import static (reserved) IP assignments by MAC address. Port forwarding is more complex that it need be and the AnyConnect VPN requires (it appears) commercial licenses which most home users will not have. Finally, the online Cisco support forums are near useless - the tech reps on the forum just tell you to call in for a service ticket so any solutions are not made available to the general public. So after a couple of weeks of usage, I terminated its use. I am now using the Peplink Balance 20, though I may upgrade to a faster unit in that product line. It works great. The browser interface is straightforward and intuitive. Port forwarding is simple and L2TP VPN setup for my iOS devices was very easy. 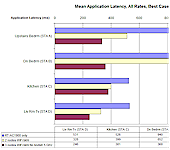 The load balancing options are extremely comprehensive and easy to use. While this is, technically, a commercial unit it is easy to find good online vendors. The support forum is helpful and well attended by Peplink tech experts. So my journey has ended with Peplink. So my journey has ended with Peplink. 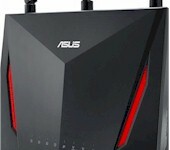 asus does work for dual WAN, but its not as great as peplink. The cisco RV is something i'd stay away from. Peplink at the moment does multi WAN in the most user friendly way, and if you need the support they are worth the price, otherwise i'd look at other solutions if you cant afford it but are willing to spend the effort. This review reads like it was largely written by the companies president. 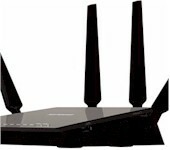 Has anyone reviewed/compared the Surf SOHO router with the popular stuff we're usually talking about on this site? If the review is accurate it seems like quite a find even though this model is single WAN. My searches don't turn up much. 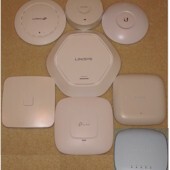 I have not used a Surf SOHO but have nothing but praise for my Balance 20 and Balance 210 routers plus the five AP One Enteprise, two AP One Flex and two AP One Mini access points from Peplink. Multi-WAN in the consumer space has always been a bit of a flake-show. Sure, you can futz around with third-party firmwares and maybe even find a build that works but if you're serious about using something that's designed for it, you should step up to SMB-class or entry-level enterprise stuff, and Peplink is a solid option. Somewhat low cost-to-performance, but their usability and support are second to none. If the operator is skilled enough, several more avenues open up in the form of UBNT, Mikrotik, firewall distro's on x86 with 3 or more Intel NICs, etc. But for simple and "just works", it's hard to pick a better choice than Peplink. As a VoIP engineer that builds customer networks, we use the Peplink Balance 20 for dual WAN installs and the Peplink Surf SOHO for our single WAN installs. We switched to the Peplinks after dealing with TP-Link, Linksys, Cisco, Sonicewall, Ubiquiti, Simple WAN and ASUS. The Peplink has been the most reliable and the best as far as programming goes. Their tech support leaves something to be desired though. I've had to contact them one time, by email, and it took 4 days for a tech to contact me. That they need to work on. Hope this helps. I now operate a Balance 20 and a Balance 210. I'm very happy with these routers, especially with the dual-WAN abilities. I run a Cisco RV340 router which I like. It feeds a Cisco layer 3 switch which I use with multiple Cisco wireless access points on 5 GHz only as I have the slow 2.4 GHz turned off. I never have to reboot devices or pay much attention to them. They just hum along in the back ground. My old Cisco RV320 router is running at my daughter's small place of business. This router is still running where I bet a lot of the old non-Cisco routers compared to the RV320 are not even in service any more. but in comparison to peplink, the cisco RV does not do multi WAN as good as peplink. Even mikrotik cant match peplink's multiWAN capability in perfectly balancing things, and they also have far more support than the cisco RV, mikrotik, and asus. I know you use it and love it, but if you're one that needs to max multiple different links, peplink does it well and easily too with good support, something you dont see in other brands. peplink's only strong point is their multi WAN capability and support, so if thats what you need for something user friendly theres really no other replacement, not even the cisco RV can match it. Cisco RV's dual WAN is only as good as the best consumer router's dual WAN capability, its not perfect but works for backup WAN configs. Could be true as I have never used dual WAN. Now days you just buy a faster internet speed which is cheaper than running dual WANs. Having redundancy is not all its cracked up to be.